Visitors to one of the North East’s top attractions can expect to be transported into the middle of the general election this spring, but not the 2015 election, the National Trust are taking you back to the early 1900s. As the rest of the UK is gearing up for the big vote on the 7 May, Wallington in Northumberland is bringing to life the 1929 election, in which Sir Charles Philips Trevelyan stood as the Newcastle Central Labour candidate for the second time. Having served 19 years as a Liberal MP for Elland, Yorkshire, and later working as Parliamentary Secretary of the Board of Education, Sir Charles was a man with a passion for democracy, socialist causes, women’s suffrage and pacifism. He was standing against Conservative candidate Viscount Adare. “As its general election year we’re taking the opportunity to tell the story of an incredible man, Sir Charles Phillips Trevelyan, at Wallington which is his former home. Sir Charles described himself as an illogical Englishman. He was an aristocrat who owned a 13,000 acre estate but had deep rooted socialist beliefs. His beliefs led him to give his estate to the National Trust, to be cared for on behalf of the nation forever. 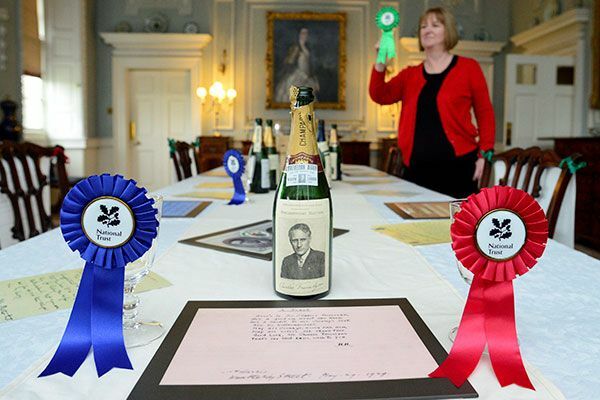 The National Trust are telling the 1929 campaign story both through historic election materials that will be on display at Wallington for the first time, and through an installation in Sir Charles’s former estate office. From the point of arrival visitors will be greeted with election posters and memorabilia highlighting the campaign aims of both Sir Charles and his Conservative opponents. Further information about Sir Charles’ political life greets you as you pass under the iconic clock tower. Inside the house archive materials delve further into the political life of Sir Charles. There are letters from campaign groups – such as the Cyclists and Ramblers Associations requesting his support – alongside telegrams and written references to the Suffrage Campaign. The experience culminates with a visit to Sir Charles’ former estate office. Here the National Trust has teamed up with award winning arts company November Club to transform the office into Utopia HQ, the headquarters of Sir Charles campaign activity. It is here that you get a more personal insight into Sir Charles’s political vision. Visitors can discover more about Sir Charles’ life after working for the government, when he set about realising his own socialist ambitions through his work on the Wallington estate. It was these ambitions which ultimately led Sir Charles to give his estate to the National Trust. Visitors to Wallington can experience Vote at Wallington from now until the end of October. For more information log onto www.nationaltrust.org.uk/wallington or call 01670 773600.